If you have never attended a Feast of Tabernacles, make this your year of obedience. Prove Yahweh now herewith and see whether He won’t pour out His blessings. We of Yahweh’s Assembly in Yahshua endeavor to keep Tabernacles much as did ancient Israel. We gather in temporary dwellings such as campers, tents, and lodges where we can be fairly close together. We sacrifice some comforts of home for a week and spend time away from familiar surroundings. We adhere to the example of obedient Abraham, who willingly left behind his friends, relatives, and family at Ur of the Chaldees, not knowing where he would end up. He, like us, had come to Yahweh believing that he “tabernacled” here on earth, seeking the celestial city of Yahweh described in Revelation. Keeping the Feast of Tabernacles helps focus our attention on spiritual things. Nearly each day Scriptural messages are shared to aid our understanding and prophecies are examined so that we know what is coming. We sacrifice our time and energy, knowing that our willingness to set aside our will in order to keep Yahweh’s Feast of Tabernacles will bring blessings now and rewards that are out of this world. We look forward to seeing you at the Feast this year! Bring anyone interested in following Yahweh’s way of life. Yahweh bless you in your willingness to serve Him through your obedience. 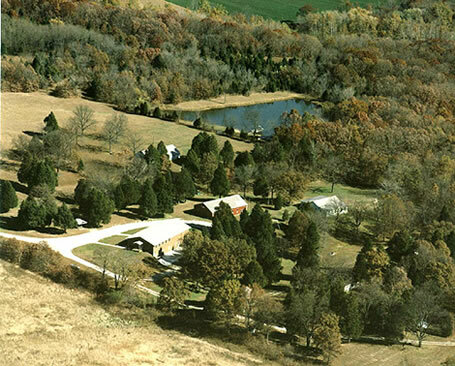 Yahweh’s Assembly in Yahshua is pleased to announce a secluded and beautiful 108 acre campground for the Feast of Tabernacles 2018, located just 30 to 40 miles north of the assembly building in Kingdom City, MO. The first High Day of this Feast will be on September 25th with an opening service the evening before, at 7pm. We will be keeping The Eighth Day (also a High Sabbath) on October the 2nd. We'll be there by 2:00 pm on the 24th (rooms will be assigned at that time). Just a reminder, we are extremely busy before the Feast. Those flying to St. Louis should check on the availability of the Greyhound bus line (Toll Free 1-800-231-2222), which makes a stop at St. Louis terminal. If you give us enough notice, we may be able to arrange for someone to come and pick you up. MoX (pronounced: mow-ex) is the shuttle service and they do dropoffs and pick-ups at Kingdom City, MO., for the St. Louis airport. Their toll free number is 877-669-4826. Please note that the first meeting will be at 7:00pm Monday evening (September 24th), which starts the High Sabbath of the Feast of Tabernacles. This date and time are of course contingent on the sighting of the Trumpets new moon the evening of September 10th. To help us plan for a smooth-running Feast, please complete the reservation form and return to us by September 15th. The accommodations are simple, but with modern conveniences such as heating, air-conditioning, bathrooms with showers. Each duplex-like building on the property is without a kitchen, but the kitchen in the main lodge is quite large with a large double-door refrigerator with all necessary utensils, pots and pans. There are two large freezers just downstairs, as well. We may use the main kitchen for individual, as well as daily planned fellowship meals. If you use the lodge kitchen to prepare your own meals, you are asked to clean up after you are done. Besides the main lodge, there are duplex and even 4-plex buildings on the property. There are also a number of RV spots with full electric, water, and sewage hookups. While all other lodging accommodations have an ample supply of bunk beds, you will be supplying towels, bedding, sheets to be used as room dividers (if necessary), and clothes hangers. Note: closets and dresser drawers are non-existent; however, the extra unused bunk beds can be utilized for that purpose. Prepare for any kind of weather. The campground does not allow pets, in addition to no smoking and no alcohol, so please make arrangements prior to attending. The small lake/large pond is said to be stocked with largemouth bass (18” and up), fresh water perch and bluegill. A barbecue is available at the rear of the lodge. A softball field and volleyball area are available. There is also a trail that leads down to an area where a river can be viewed. A slide on the dock of the lake will allow for some fun, swimming if the weather permits. Dress appropriately, as Missouri’s sometimes cool Autumn days and nights demand warm clothing. But these days can also be warm and sometimes rainy. To help us plan for a smooth-running Feast, please complete the reservation form and return to us by September 15th. Rooms will be reserved in the order forms are received, so act now. You are asked to provide a $50 non-refundable deposit when sending in your order form. The $50 will be deducted from one’s total cost.